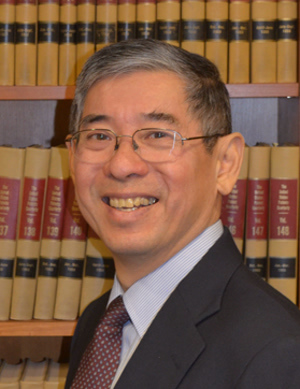 Allen C. Yun, Ph.D. | Browdy and Neimark, P.L.L.C. Dr. Yun is a patent agent with expertise in chemical, food, pharmaceutical, agricultural and biotechnology areas, with a particular emphasis in biochemistry, microbiology and molecular biology. He joined Browdy and Neimark in 1993. Dr. Yun’s industrial career in biotechnology began at Ricerca in Painesville, Ohio, where he was the Senior Fermentation Microbiologist/Molecular Biologist involved with proprietary internal/contract process development, scale-up and manufacture as manager of Ricerca’s fermentation pilot/production plant facility. He later moved to ChemGen Corporation in Gaithersburg, Maryland where as a Senior Scientist, he was involved with the research and development of bioprocesses through the use of recombinant DNA technology in the production of bacterial metabolites and enzymes by fermentation. His doctoral work in the field of symbiotic nitrogen fixation and bacteria-plant interactions was conducted at the Boyce Thompson Institute for Plant Research, where he published numerous articles in scientific journals..